Through its perfect location in Sentul, close to Jakarta, PT RubberFoam Indonesia (RFI), a German investment in Indonesia, producing exclusively 100% natural latex products in order to operate succesfully both on the domestic, as well as on the foreign markets. 50 highly motivated current employees in our company guarantee the highest quality for our clients. Due to the strong interaction of German technology and trading experience, and high work ethics and efforts, we create products, which demonstrate superior quality, not quantity. These innovative ideas and aims of the company were developed in 2006 already. 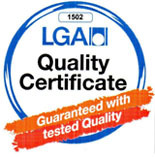 A demand for high quality in the domestic market, and an inappropriate high price level in the foreign market allowed an easy entry into markets and a quick/subtle development of our company that is, already shortly after the foundation, able to compensate these weaknesses with its products, and thus, finding itself in close competition with worldwide market leaders in „latex sleep products“. The production process follows strict guidelines directed by German process engineers and local experts, who guarantee a homogeneous, fully vulcanized and dried product. 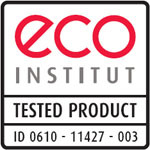 The success of this process is demonstrated through the worldwide acknowledged ECO-Certificate by the German ECO institution in Cologne, which confirms the non existence of harmful emissions from the product. 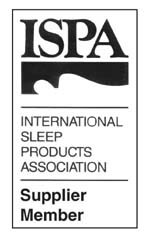 Since 2008, we are supplier member of the ISPA (international sleep products association). Our end products can be delivered both with inner or outer cover in full cotton or mixed materials and can be offered with the Oeko-Tex certification on request. Ready to retail product packaging can be offered as well.